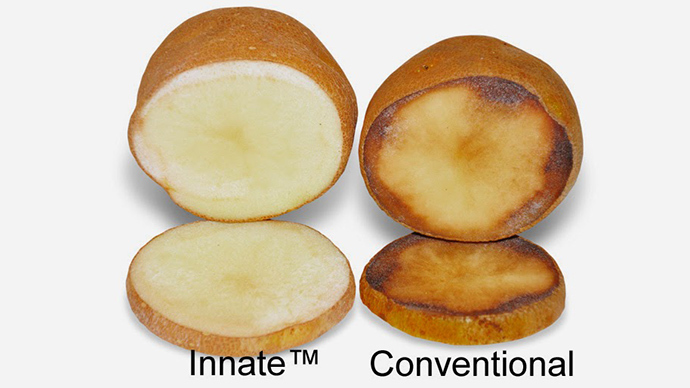 Simplot, one of the world’s biggest agribusinesses, has received USDA approval for Innate, a genetically-modified potato that produces fewer carcinogens when fried. 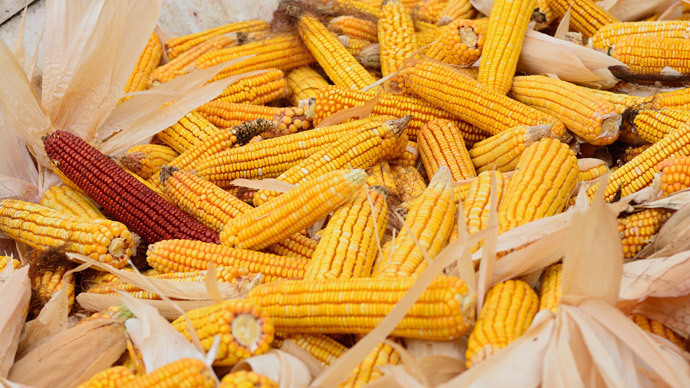 Anti-GMO pressure groups are campaigning for the decision to be reversed. “This approval comes after a decade of scientific development, safety assessments and extensive field tests,” said the Idaho-based Simplot, which annually processes about 3 billion pounds of potatoes. The potatoes, which are also modified to bruise less easily and to not turn brown for many hours after being cut, underwent successful field trials in eight states - Florida, Indiana, Idaho, Michigan, Nebraska, North Dakota, Washington and Wisconsin - between 2009 and 2011. Innate reportedly produces up to 75 percent less acrylamide, a substance that is suspected of contributing to cancer, when fried. The medical implications of the alterations have not been tested. US Department of Agriculture chemical tests showed that all non-targeted substances remained within regular range, and that the plants posed no danger to other crops located in the vicinity. Simplot said that it expects to receive clearance from the Food and Drug Administration that the potato is safe to eat within weeks. Simplot, which had revenues of $5.8 billion last financial year, reassured that the technology is not as alarming as that used by other companies, which introduce bacteria or genes from other plants. Simplot is simply manipulating genes contained within the potato’s own DNA. The company plans to use the potato’s main benefits for a two-pronged assault on the market. The spuds will be sold as a healthier alternative, and will also be supplied pre-cut to supermarkets and restaurants, due to the fact that they remain pristine-looking for longer. In fact, while the purported cancer effect will grab the headlines and curry public opinion, it is the longevity that really gives Innate its market advantage. “This could be a game-changer for the industry!” boasted Kerwin Bradley, Simplot’s director of commercialization. But an anti-GMO food groups did not share his enthusiasm. “We think this is a really premature approval of a technology that is not being adequately regulated,” Doug Gurian-Sherman, a plant pathologist and senior scientist at the Center for Food Safety, told the New York Times. The organization says that the RNA interference technique used for Innate is untested, and said that one of the substances suppressed by it actually plays an important role in the chemical make-up of the potato, and its ability to fight pests. 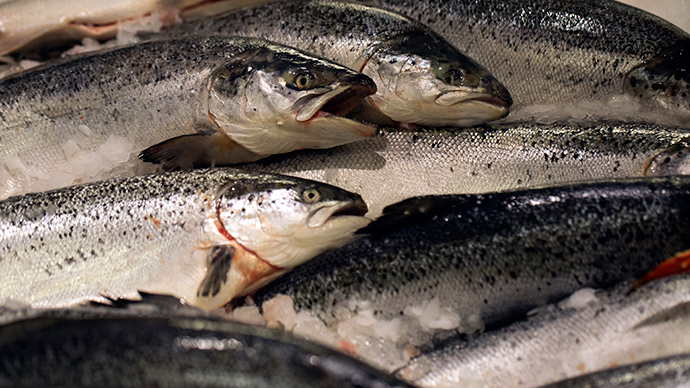 The Center for Food Safety says that it plans to appeal the USDA approval. Simplot’s role as a GMO potato pioneer is somewhat ironic, considering that it played a decisive role in the discontinuation of the world’s first flirtation with innovative spuds more than a decade ago. Monsanto sold its NewLeaf genetically-modified potato resistant against the Colorado beetle and PVY virus between 1996 and 2001. 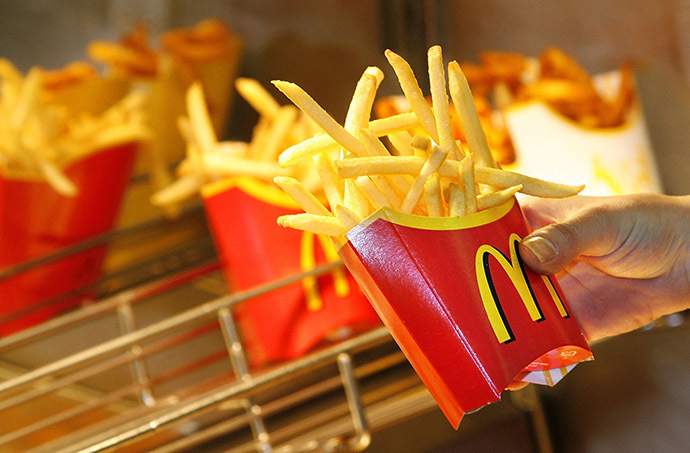 But as it was gaining popularity, activists pressured McDonald’s and other leading fast food chains in the US to turn their back on GMO potatoes. In turn Simplot, which supplies more than half of McDonald’s potatoes in the US and has done so for decades, simply stopped planting NewLeaf potatoes. 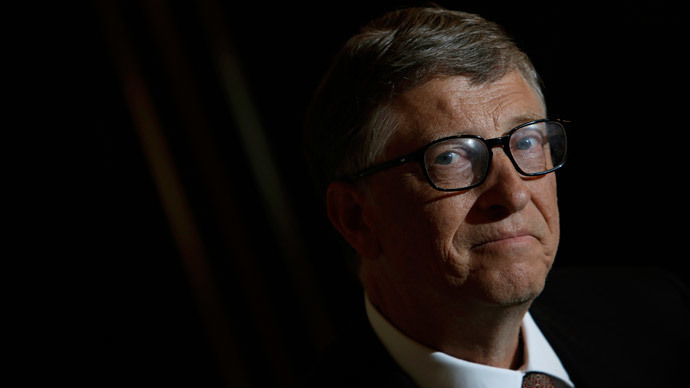 As a result, Monsanto stopped selling its range, concentrating on more successful products. 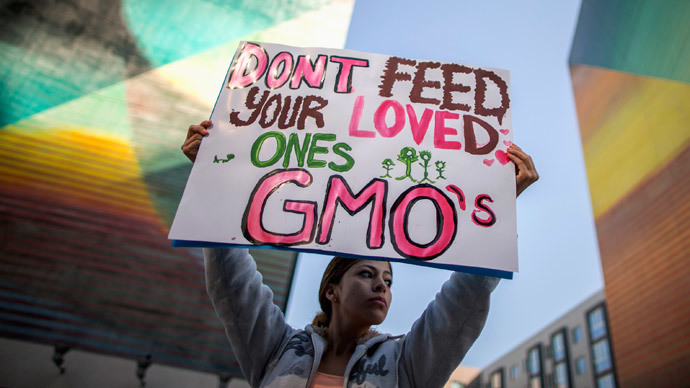 More than 90 percent of soybeans and 60 percent of corn in the US are now genetically-modified. The Food and Water Watch group has hoped to repeat the trick, already sending a petition signed by over 100,000 people, asking McDonald’s to ban all Innate potatoes. But this time Simplot is unlikely to be fobbed off so easily. The company says that it plans to produce a new-generation Innate potato in the coming years, which will be resistant to late blight – the cause of the Irish Potato Famine – by mixing genes of wild potatoes into cultivated varieties. The company says it is also seeking approval for Innate in Canada, Japan and Mexico.